Well maintained by a mature rider. The bike is ride-ready, and in excellent condition. Some features include; ABS, heated grips, windscreen, electronic instrument cluster. New (Bridgestone) rubber installed at 27,765km. Fully-serviced March, 2018. 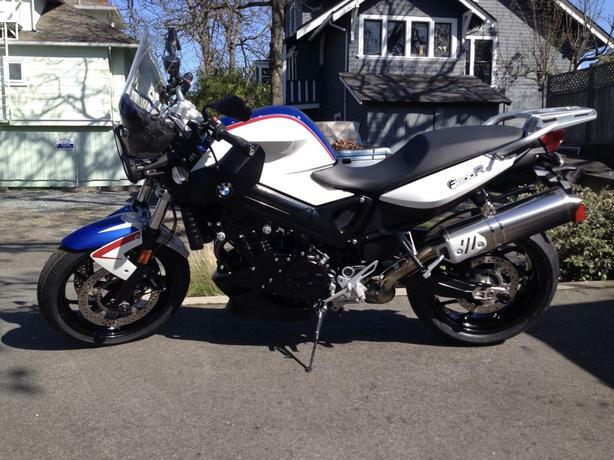 I am selling the bike with BMW hard-shell luggage (panniers, top-case). Bike also includes front spoiler, and axle sliders. I have complete service history, including warranty work, and regular maintenance. The bike is configured with the Low-height seat option; I am 5'9" with an inseam of approx 31". I have ridden as many as 800kms in a single day on the bike. The bike is agile, stable at speed, and has plenty of power to move you along city streets or long stretches of open highway.